I have a confession. One year I went to an apple orchard, picked a boatload of apples, then brought them home to eat. The apples sat proudly on the counter for days….which turned into weeks…which turned into “I can’t believe I have these apples.” It was so sad to have to toss away so many apples that were once freshly picked by my very own hand. So often I have the best of intentions to make an awesome pie or dessert with fruit, I purchase all the supplies, but then life, time, or whatever prevents me from baking up the delectable treat. 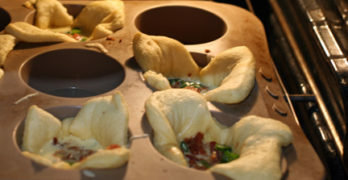 That’s one of the reasons I’m such a fan of Lucky Leaf pie fillings. Lucky Leaf offers a variety of premium pie fillings that you can keep in your cabinet until you’re ready to bake. I’ve baked a few items with Lucky Leaf and am always impressed by how flavorful the fruit is. 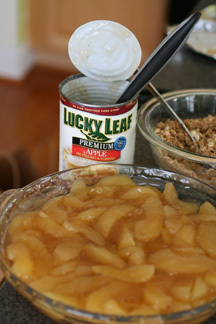 One of my favorite fillings is the Lucky Leaf Premium Apple Pie filling. The apples always come out with just the right texture (not too soft or too crisp) and are pre-seasoned with a blend of spices like cinnamon and nutmeg. 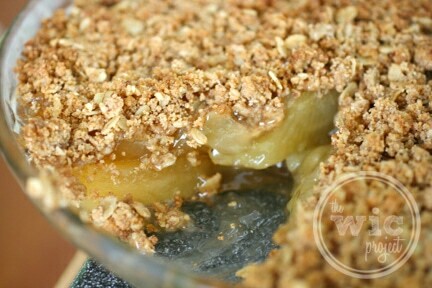 It is hands down the easiest way to make a pie or an apple crisp….which I did. Apple crisps are super easy – just put in a couple of cans of Lucky Leaf Premium Apple Pie filling, then top with oats, brown sugar, butter, flour and spices. In a blender combine pie filling, milk, whipping cream, sugar, cinnamon, vanilla bean seeds or vanilla, and 1/4 teaspoon salt. Cover and blend until smooth. Pour mixture into ice cream maker. Freeze according to manufacturer’s directions. 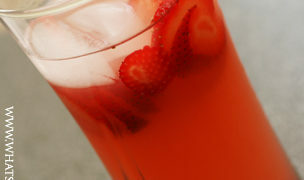 Spoon into a freezer-safe container and freeze for at least 30 minutes or until mixture reaches desired consistency. To serve, heat caramel sauce and 1/2 teaspoon salt in a small saucepan over low heat until warmed through. Spoon caramel sauce over ice cream. Now this looks yummy! I’m finding all kinds of great fall recipes and this will be perfect if we go apple picking this year! I’m already shopping for an ice cream maker so I can try to make this ice cream! This sounds delicious and makes me want an ice cream maker!